The Rocky Mountain region is home to a booming craft spirits industry. Distillers and consumers of fine spirits are invited to celebrate this craft at a tasting festival in Estes Park, Colorado. Admission includes a souvenir tasting glass, complimentary pours from a variety of distillers, bar games, and live music. So raise a glass to raised standards, and make your plans for the last Saturday in October. PAIRING DINNER: Latitude 105 will be offering a pairing dinner the weekend of the event. Join Executive Chef Jacob Tew on Friday, October 26 as he presents an outstanding culinary experience featuring pairings with regional craft spirits by Breckenridge Distillery and Elkins Distillery. For more information, or to purchase tickets, visit the pairing dinner website. Please note that the dinner and the tasting festival each require a separate ticket. DISTILLERY TOUR: Elkins Whisky is the tasting festival's presenting sponsor, and these folks are pleased to offer a behind the scenes tour of their distillery the day of the tasting festival. Arrive at 1pm and take a peek at the processes used to bring you the first and only spirits made (legally) in Estes Park. Talk to the distillers, try out a sample in the tasting room, and then catch a free trolley over to the festival. The trolley will bring you back to Elkins at the conclusion of the event for a chance to say hi once again to some of your new friends in the craft spirits industry. Tickets to the tour are offered here, and are only offered with the purchase of a festival ticket. 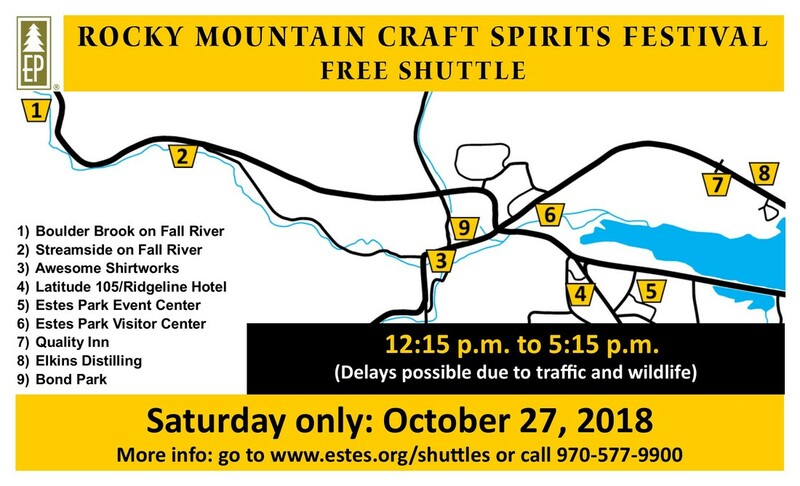 ​TRANSPORTATION: The Town of Estes Park will be providing a FREE shuttle the day of the event. This service will make stops at several hotels and spots around town. So book yourself a hotel, don't worry about driving, and head for the festival. LODGING: The Ridgeline Hotel (home of Latitude 105, and one of our free shuttle stops) is offering a package deal that includes pairing dinner tickets, tasting festival tickets, and a room! Call their front desk at 970-586-2332 for more information. 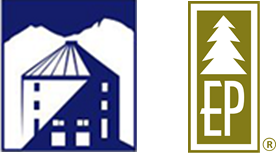 Quality Inn of Estes Park, Streamside on Fall River, and Boulder Brook on Fall River are all sponsoring this event as well, and have tickets available for guests! For more ideas on what to do and where to stay during your weekend in Estes Park, check out the Visit Estes Park website. We are pleased to be bringing two talented artists to the Event Center for this event. You Knew Me When will be playing for the first half of the tasting festival, and Hunker Down will close it down for the second half. Cheers to the following distillers who have already signed on to participate at this year's event! Check back regularly as this list is growing by the week! Interested in sponsoring this event? Check out the opportunities in the document below.